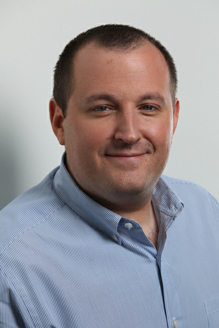 William Sherak serves as President of Stereo D, a 2D to 3D conversion company owned by Deluxe Entertainment Services, Inc. The company was recently named one of the World’s Most Innovative Companies by Fast Company magazine (March 2013). Sherak quickly established Stereo D as the industry leader in high-quality conversion and augmentation visual effects with their work on such films as “Avatar,” “Jackass 3D,” “Thor,” “Captain America,” “Titanic 3D,” “The Avengers,” “Jurassic Park 3D,” “Star Trek: Into Darkness,” and most recently “Pacific Rim,” and the upcoming “The Wolverine,” among others. He co-founded Stereo D in 2009 and has guided the visual effects company from a mere 15 employees to an international staff of more than 1000 in less than three years. While Sherak has become a prominent figure in the world of post services, his background lies in feature development and production. He began his career in 1997 at Davis Entertainment where he quickly rose in ranks to Director of Development. He later co-founded the production company Blue Star Entertainment with Jason Shuman. In 2000, Blue Star signed an overall producing deal with Revolution Studios. At the time, Sherak was only 25. While at Revolution, he produced “Little Black Book,” and “The Messengers.” He went on to have studio deals at Sony and Paramount Studios where he produced films such as “Daddy Day Camp,” “Role Models,” and “Middle Men.” He also produced the hit TBS comedy “Are We There Yet?” starring Terry Crews and Ice Cube. Mr. Sherak is a member of the Academy of Motion Picture Arts & Sciences, the Producer’s Guild of America, the International 3D Society, and is a member of the Fulfillment Fund Leadership Council.